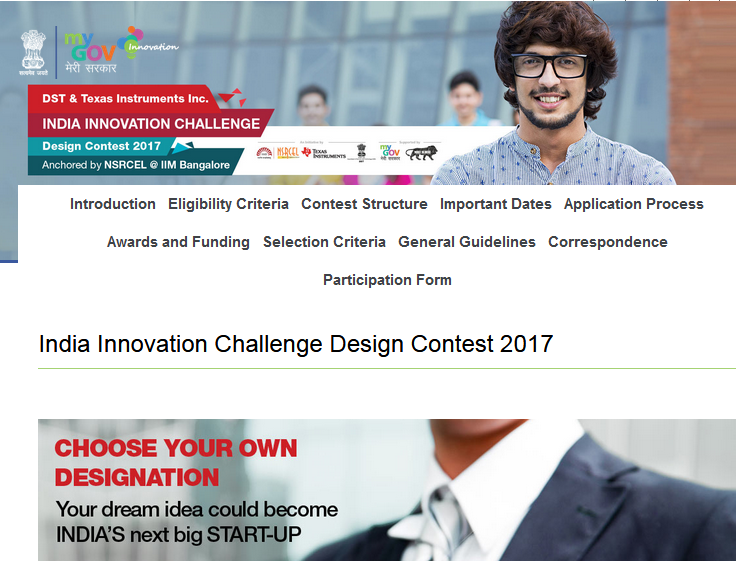 The second edition of India Innovation Challenge Design Contest (IICDC 2017) is announced with registrations for the contest opening on July 20th. IICDC 2017 is an electronics product design contest conducted by Texas Instruments in collaboration with the Indian Institute of Management Bangalore (IIMB) and Department of Science and Technology (DST) . TI is providing material, design resources and training program throughout the contest. DST will provide INR 3.5 crores to the student start-ups for prototyping and seed funding. NSRCEL at IIM Bangalore will provide business mentoring and incubation support. MyGov, the government’s online portal, will be extended to the participants for registration. “DST’s collaboration with TI’s IICDC provides impetus to the development of science and technology within the country. With this, we encourage students to engineer path-breaking solutions that bring socio economic change.” said Mr. H.K. Mittal, advisor and head of NSTEDB, DST. US based semiconductor chip maker Texas Instruments has a big R&D office in Bangalore with large team of developers working on advanced semiconductor chips since early 90s. TI is actively promoting its products in the academia and student/maker community from many years through events, and design contests.